In 2014 Axiom had the opportunity to move across the pond and start a new location in the northeast of England. Since then we have continued to develop our program by partnering with UK-USA ministries and Tees Valley Youth for Christ. Axiom has been privileged to work with various individuals, schools, churches, youth clubs, and more. Axiom is currently involved in various projects across the Tees Valley. These include coaching in schools, organizing park nights, running youth events, and providing opportunities for local students to engage through sports. 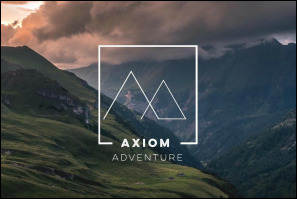 Axiom Adventure is a branch of Axiom devoted to engaging youth by utilizing outdoor adventure sports. These sports include hiking, climbing, canoeing, caving, backpacking, kayaking, running, and more. Camp of Champions is one of the primary ways that Axiom connects with youth in the Tees Valley. Camps are typically run in the summer and include a fun-filled day with games, teams, cheering, and sharing the gospel.